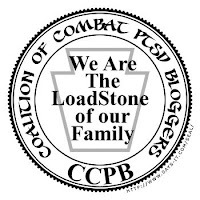 Being the family member of a combat vet is something I am very proud of. It is also a roller coaster ride that never seems ends. What is hard to get through to other people is, it isn’t easy for the veterans and it’s not easy for us. All we can do, though, is take it one day at a time. More and more people in all walks of life are discovering that war changes people. I was just a child when the Vietnam War occurred. I heard over the years about homeless vets, PTSD and how it changes people. My generation did not go to war. My son’s did. Today, I am experiencing firsthand the things I read about in school and political magazines. I believe that SOME (not all) homeless veterans are that way because they pull away from family. Even on days when my son gets mad at me, I want it understood that my door is always open to him. When I read that over 300,000 combat veterans have brain injuries, it doesn’t surprise me. I’m living with it every day. Mood swings, memory loss, epilepsy are all part of the roller coaster life I live. He forgets appointments. He oversleeps. He fidgets. He gets aggravated. These are all symptoms of what he came home with so when people say he should be more responsible? Hello, it’s a BRAIN INJURY; it’s not someone being irresponsible. At my age, I try to do for him the best I can. Sometimes I have my own foul-ups and health issues to deal with, but they take a backseat to his. He doesn’t ask me to, it’s my decision. If either of my younger two had gone to combat, I would be doing the same for them. If any of the three had been born with health problems, I would take the journey on so to me, this is no different. What is different is the young man who joined the Army just weeks before 9/11. That Tuesday morning, I asked him if he wanted to reconsider his choice. He said no, that America was his and it was more important than ever that he go to basic…for me, his brother and his sister. That morning plays over and over in my mind and keeps me fighting for him even on those days when I get blamed for everything. My son never hesitated to follow his Commander in Chief and his Commander in Iraq. He never hesitated to be there for his comrades just as I know they were there for him. He didn’t go get his headaches checked out after losing a comrade in an explosion. I can’t imagine what my son went through. Some people can’t imagine what combat veterans continue to go through or what their immediate family members see. We deal with it the best way we can, though, which is one day at a time. Because we love who they used to be and we know that person is still in there somewhere, behind those injuries that aren’t always apparent to those on the outside looking in.